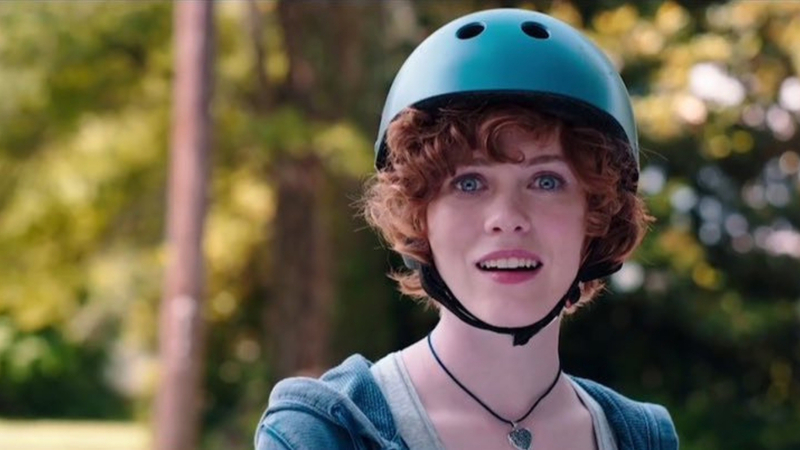 On the heels of her head-turning performance in It, Sophia Lillis picked up a number of high-profile projects. One of those was HBO's Sharp Objects, but she also was chosen to headline her own potential franchise as teen sleuth, Nancy Drew, the heroine of the long-running series of novels by author Carolyn Keen. And now with the first official trailer for Nancy Drew and the Hidden Staircase, I think we're seeing why this particular story was chosen because it's giving off a series Stranger Things vibe. Directed by Katt Shea, who is perhaps best known for the Drew Barrymore flick Poison Ivy, this particular Nancy Drew episode includes a supernatural aspect as she investigates a haunted house. The tone of this one is obviously very light-hearted and geared towards kids, which is fine I'm just not sure this is the movie for me. It's all a little too squeaky-clean for me. That said, I'm a big fan of Lillis and hope this movie succeeds in at least helping to forget the 2007 Nancy Drew with Emma Roberts which was pretty terrible. Joining Lillis in the cast are Sam Trammell (True Blood), as Nancy's father; Zoe Renee and Mackenzie Graham as her best friends George and Bess, and Laura Slade Wiggins as her rival Helen who helps solve the haunted house mystery. Nancy Drew and the Hidden Staircase opens March 15th.